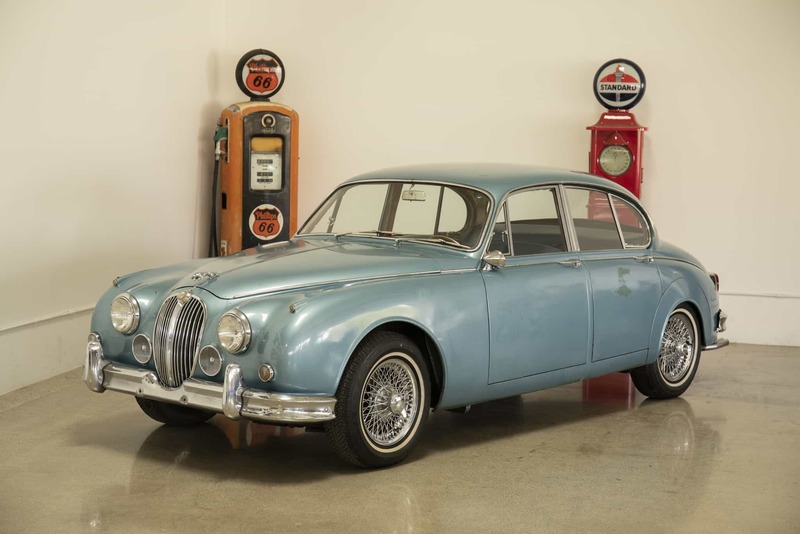 1962 Jaguar Mark II 3.8 liter “garage find”: Stored in a dry California garage since 1987; excellent solid original metal; beautiful original interior; low 90K original miles; factory manual transmission with overdrive. All numbers match, Heritage Certificate included. We serviced the engine and it runs superb; all other mechanical systems need to be checked prior to driving. We purchased this 1962 MKII along with an excellent 1963 Jaguar Etype Coupe (the seller was the original owner of the Etype and he owned the MKII since the 1960’s). We go to extents to document our cars in pictures and provide the most transparent listings on Ebay. Please study the pictures carefully rather than requesting descriptions. Please complete any inspections or ask any questions prior to bidding or committing to buy the car. Thanks for the interest!